Diamond Brokers and how to become one--the best advice I can give is to attend the GIA (Gemological Institute of America). It is the institute that gives you a thorough education on diamonds, gemstones and the jewelry business. I've never attended GIA, however, I was on their mailing list and they sent me the magazine called the 'Loupe'. They're my favorite Institute for Jewelry and Diamond education. The GIA is located in Carlsbad, California. GIA has an internationally respected diploma programs, courses, and classes that will meet your goals. They offer programs and courses in areas such as: Graduate Gemologists, Graduate Diamonds, Jewelry Business Management, etc. GIA has so much to offer their students. It is a start towards becoming a Diamond Broker. The next step is to start a career working with a Broker to learn the business. Once you get the experience, then, you can start your own diamond business. It is better to get a mentor to show you how to get started in your own business. Also, do research to find out more about the Diamond Business. Diamond Brokers like Real Estate Brokers search for the best diamonds to sell to their customers. They search to find the best diamonds at the right prices for their customers. Gem professionals are like appraisers, they are very knowledgeable about the diamond business. The professional often goes straight to the source for a customer's diamond, and work directly with either the gem cutter or wholesaler. You want to become qualified with expertise in the grading and evaluation of diamonds and to be fair to your customers. Lastly and very importantly, get your business license. You pretty much need a business or brokers' license to do any kind of business these days. 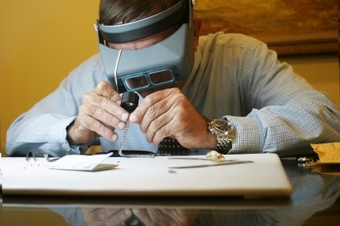 Some professionals are certified, you get a certification from GIA as a graduate gemologists. 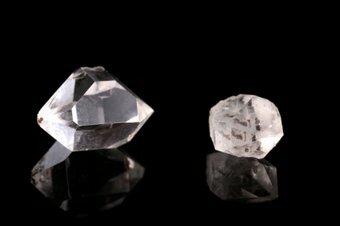 Once you get your credentials and while you're working to start the diamond business, it is advisable to get the Limited Liability Company (LLC) package for your business. The Limited Liability Company (LLC) is an umbrella for your protection from lawsuits or any problems that may occur in the future. With the LLC, if you should ever encounter lawsuits, complaints filed against you for any reason from business transactions, the courts or other authorities can only get monetary awards from the business, not you or your personal accounts and identities. Safety Tips: Beware of the thieves and smugglers when starting your business. Diamond brokering is an excellent business to get into, but if you're not careful, it can also be dangerous.